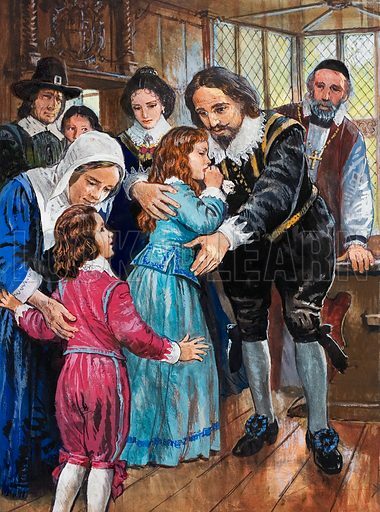 King Charles I bids a sad farewell to the last two of his children to remain in England, Princess Elizabeth and Prince Henry, Duke of Gloucester. Original artwork for the illustration on p29 of L&L issue no. 1009 (11 July 1981). Available worldwide for immediate download up to 3,446 x 4,643 pixels.